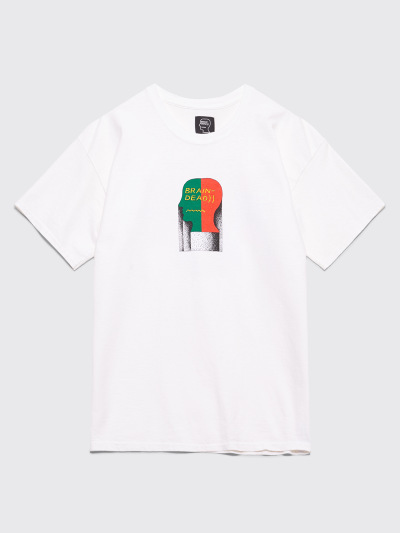 T-shirt from Brain Dead with a ribbed crew-neck, short sleeves and contrasting print on the chest and back. 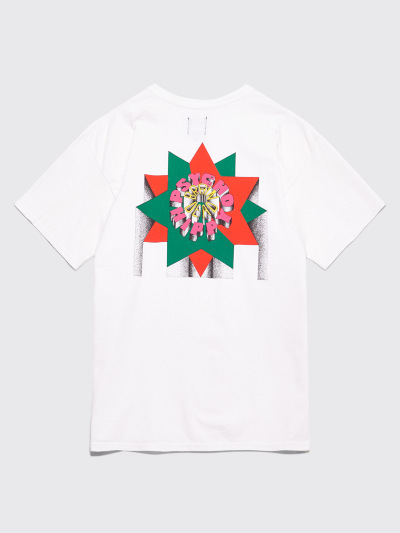 White t-shirt with prints in red, green, yellow and black. Made from 100% cotton. Straight cut. Fits true to size.